Charlie Hayward and his friends Dave, Joe and Matt are the Atlantic Lions. 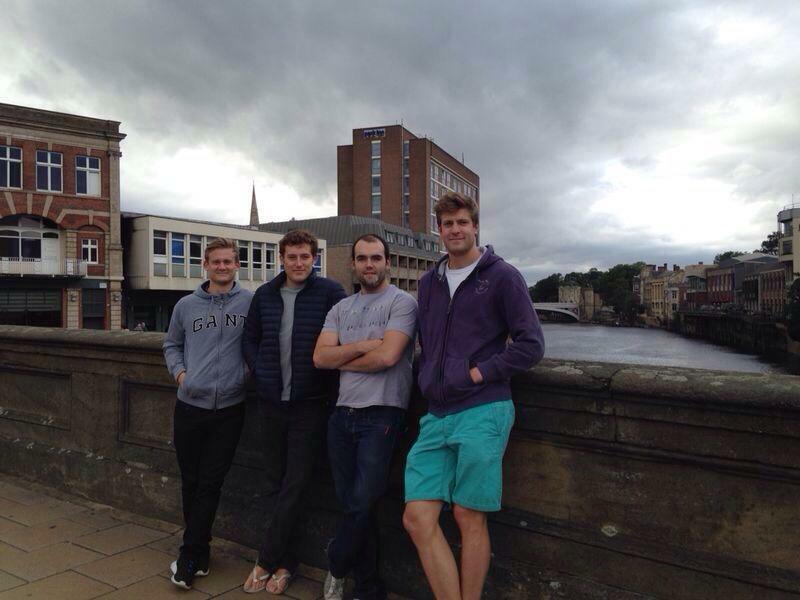 Together they have entered the 2015 Talisker Whisky Atlantic Challenge, which will see them row 3,000 miles across the Atlantic Ocean. By taking part in this race, the Lions hope to raise £100,000 to support the work of the MS Trust. In his first post for the MS Trust blog, Charlie explains exactly why they’ve set themselves this huge challenge. A day we won’t forget. At 1:00pm we officially paid our entry deposit for the Talisker Whiskey Atlantic Challenge, the toughest rowing race on earth. We, the Atlantic Lions, would be undertaking what will undoubtedly become the wildest adventure of our lives. Excitement was the emotion of the hour. Fast forward three months and, with now just over a year until we set out from La Gomera, across the wild Atlantic with nothing but our arms and oars to carry us to the shores of the Caribbean, excitement is still very much present within the pride. Excitement, however, is not the only emotion we have right now. It has been joined by that everyday responsibility, organisation. Almost all ocean rowers will say that making it to the start line of a race is just as much of a challenge as crossing the water itself and we are certainly starting to share that opinion. Preparing for an ocean row is very unique and requires endless administration, effort and time: much more than most other challenges. Once you’ve entered an ocean rowing race, the task of capturing your team spirit in a brand, setting up a website, generating PR activity, training, finding a boat, buying a boat, obtaining the relevant safety qualifications, organising fundraisers to meet our charity target of £100,000, all becomes pretty daunting. On top of all this we also have the small task of raising nearly £100,000 in sponsorship money just to cover our costs. Finding the time to do all of this, along with a fulltime job (two of us are junior doctors) only adds to the complexity of it all. 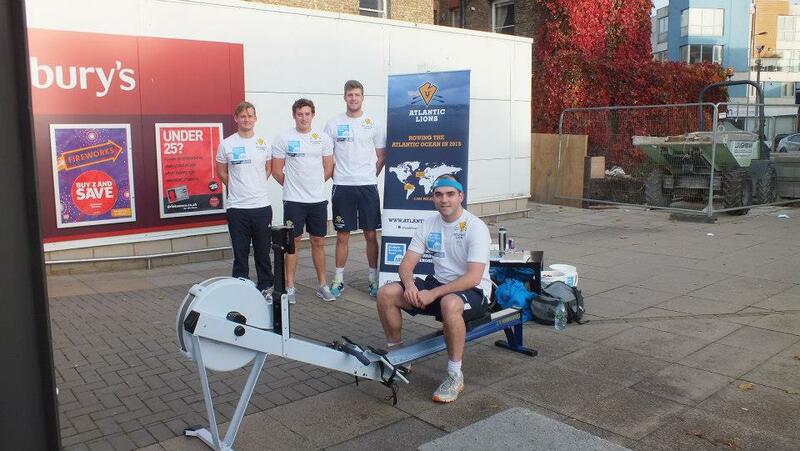 However, we’ve got a great brand behind us, we undertook our first fundraising ergathon a few weeks ago and we’ve made good contacts in the sponsorship field. We are, however, still looking for that elusive lead sponsor! People still ask us why we want to do it: why do we want to cross an entire ocean in a small rowing boat? Three reasons really. First, the sense of adventure that only the high seas can bring. Second, the challenge in pushing the human body to the endurance limits. But third, and most important, to make a real difference to a charity so close to our hearts. We knew that our challenge could inspire some very generous donations and we wanted to ensure that this money would make a real difference. We know it will with the MS Trust. What they do for people and families dealing and managing with multiple sclerosis is truly inspiring and it’s this example that drives us on. Our own inspiration for taking on the Atlantic Ocean comes from the life of David’s uncle, Gary Maryrick. Gary was a man who loved the outdoors. He worked most of his life as a mountain rescuer and lived life simply to appreciate the wonders that our planet has to offer. When Gary was struck down by MS, his ability to help others and explore the Scottish Highlands was suddenly taken away from him. It’s very rare in this world to see people helping others by doing what they love, every single day of their lives – but Gary managed this. He worked simply to survive and have enough money to enjoy the Highlands, and to help others share his outdoor passion. Our passion is to help the MS Trust by doing what we love, by undertaking the adventure of a lifetime, and by learning from Gary’s life. Please share our adventure and story. We want to raise as much money as we can for the MS Trust in memory of Gary, but we won’t be able to do it without your help and support. Our main priority right now is to acquire sponsors who can help get our financial campaign up and running. We’ve got some fantastic opportunities for companies and individuals looking to partner with us. To find out more visit our website and if you know anyone who might be interested in our sponsorship opportunities please do pass on our details. To find our more about how you can support the MS Trust’s Atlantic Lions visit our fundraising page. Thank you very much for your time and support!